I admire artists who can use technology to their advantage. Computers is a whole other language and I wish I could speak it. Jenelle of Pinkpolka Wedding Design is a graphic artist and she speaks robot (Computer language, that is)! If that's not talent, I don't know what is. 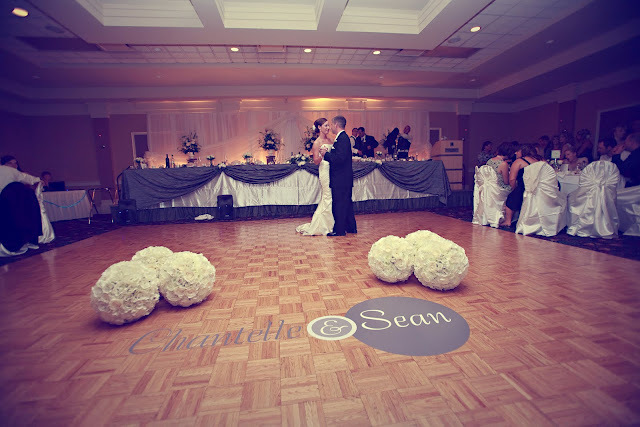 I've had the pleasure to work with Jenelle on many weddings over the last couple of years and even some personal projects. 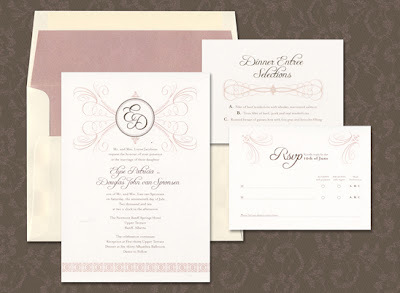 She's an absolute delight and to see the ideas that she comes up with for custom wedding invitations is exciting. She has a real modern edge to her style, but is capable of producing any style that will represent you. 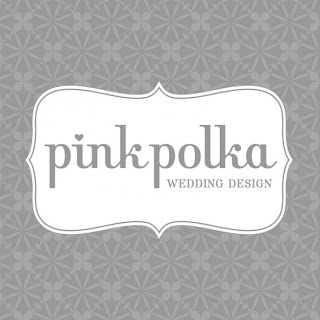 Pinkpolka Wedding Design has just recently received the Best of WedLuxe 2011 Award for Excellence in Stationery! She truly deserves it. 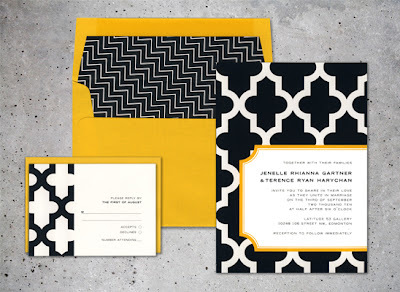 If you are looking for custom designed Stationery and Invitations (for any occasion) Jenelle will be able to capture your vision and reproduce it into something distinctive, creative, and memorable. 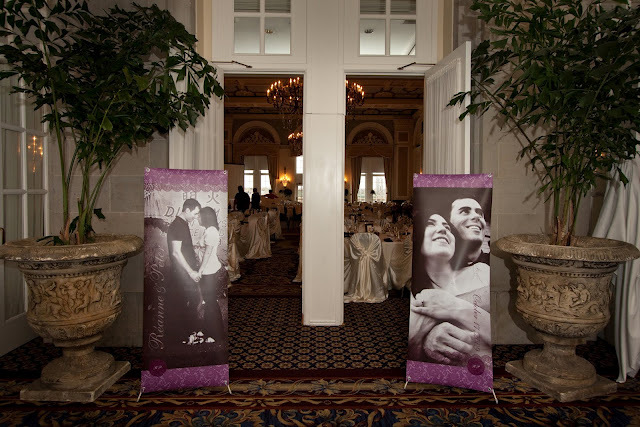 It's like "branding your wedding". 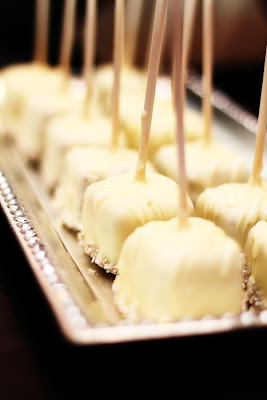 For Jenelle's own wedding, she had us create mini brownie cakes! This is such a fun alternative to a wedding Cake. 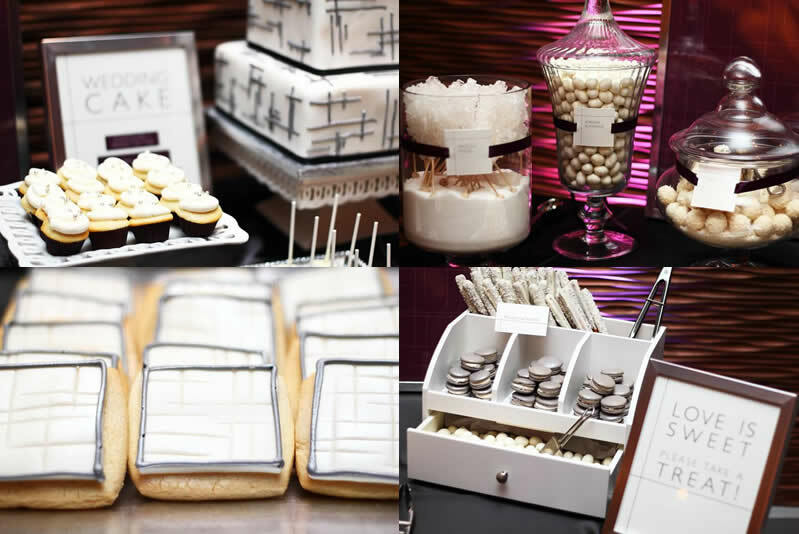 This is a great example of how one theme can run throughout your wedding and not be overdone. WE have collaborated on MANY sweet tables over the years. Here is our most recent one together! And, she doesn't just create fun stationery for weddings. Here is a personal project she created for me. 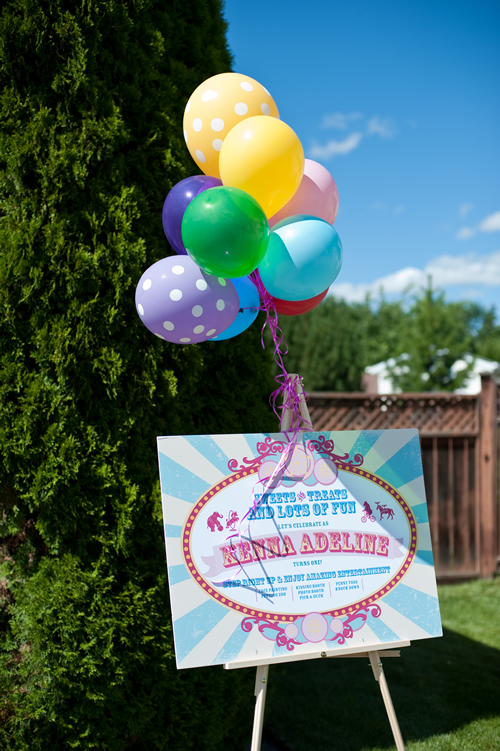 When we celebrated my daughter's first Birthday, her STATIONERY set the tone. It was fun, whimsical, and definitely memorable. 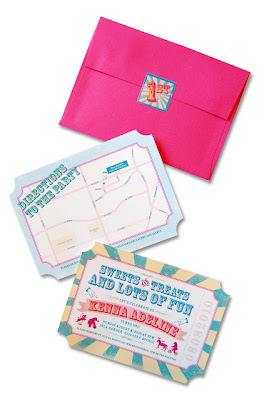 Custom invitations from Pinkpolka also included a map so our guests could find the fun with ease! A welcome banner for the front of the house! LOVE this. 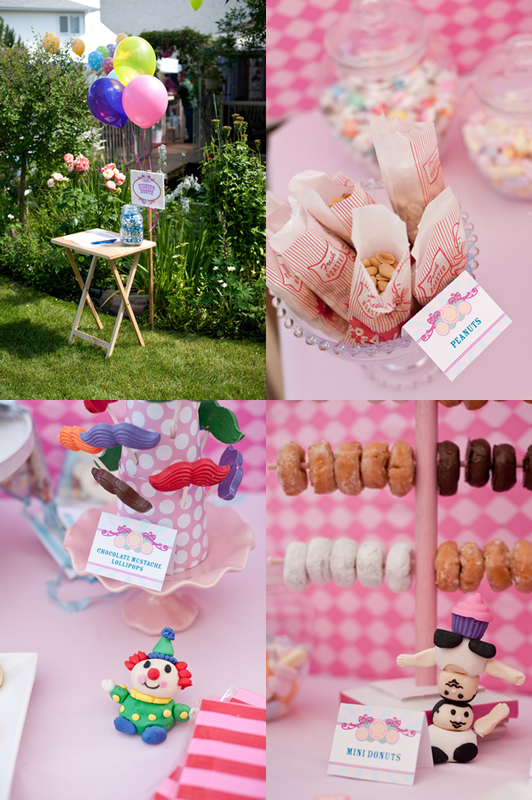 She also created all the signs for our booths and game stations and of course for the sweet table. Jenelle is an artist. She will listen as you talk about your ideas and what you hope to see and she then she will work her magic and turn it into lovely Stationery that will reflect your style and personality! Stay up-to-date with real weddings and new stationery she is creating on her BLOG, It's all Polkadots! 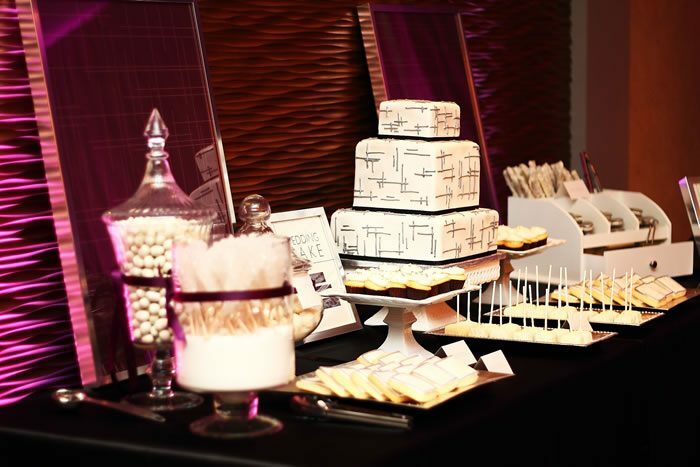 Contact Pinkpolka for your Wedding and Custom Stationery needs!